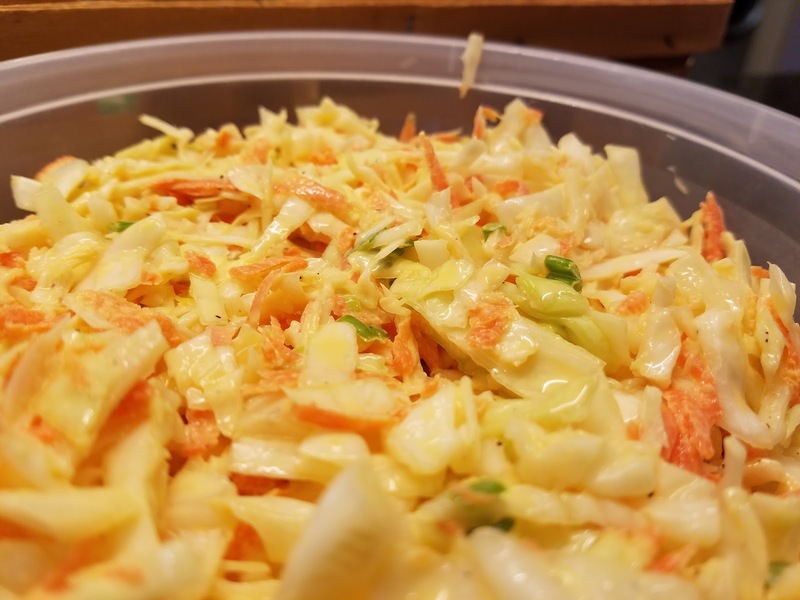 I made this coleslaw a while back, and we really liked it. The original recipe comes from Chick-fil-A, and if I hadn't changed it, it would taste just like the kind you used to be able to get there. Or so it says. I never had it, so I can't say for sure. I've never even been to a Chick-fil-A. It was the dry mustard in the recipe that caught my eye. Then things got really busy, and then we were away from home for a week and a half - and now that I sit down to type up this recipe so I don't forget (because I will be making this again), I'm hoping that I haven't already forgotten. 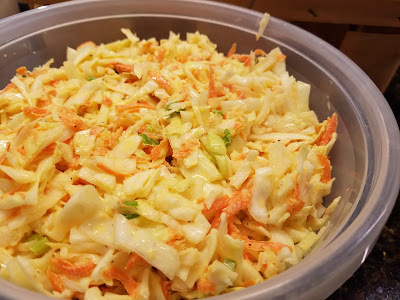 Mainly I'm questioning whether I cut the sugar down or not, since the original recipe says it's not too sweet - but since what I usually don't like about coleslaw is that it is too sweet, I'm pretty sure I cut the sugar in half, so I'm going with that. If you like your coleslaw sweet, feel free to use 1/4 cup sugar; it just won't be as good - IMO. I also shredded my own cabbage, added a carrot (or two), and some green onions. Oh, and black pepper because coleslaw always needs black pepper. In a large mixing bowl, whisk together the mayo, vinegar, sugar, dry mustard, salt, and pepper until smooth. Add in shredded cabbage, carrot, and green onions and stir together until until completely coated. Cover and refrigerate 2 hours or overnight.